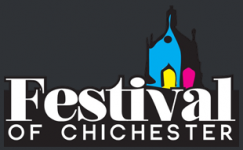 I’m very happy to announce that I will be appearing at both the Chalk Valley History Festival and the Festival of Chichester 2014. In April I was asked to write an article for the History Hub on the Chalk Valley History Festival Website. I hope it will wet your appetite for my talk, which is on 26th June 2014 at 17:00. Click on the picture to the left to buy tickets. If you can’t make that, then I hope you can join me at Chichester Library (tickets only £3!) on July 1st at 19.30.